Although Clint Hill was one of the closest witnesses to the assassination of President John F. Kennedy, the former Secret Service agent said he would never divulge the harrowing account publicly, especially not in a book, the Marin Independent Journal reports. 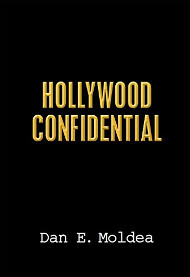 Hill, who is now 82 and lives in Tiburon, Calif., said he changed his mind after all of these years when he was assured any book he worked on would not include gossip. After all, he had quite a compelling story to tell: As Jackie Kennedy’s guard, he is widely known for climbing into the president’s car just after the Nov. 22, 1963, assassination. Hill, who has written two New York Times best-sellers with co-author Lisa McCubbin, is to receive a Lifetime of Civic Leadership award from the Concord-based JFK University’s Institute of Entrepreneurial Leadership on Friday. 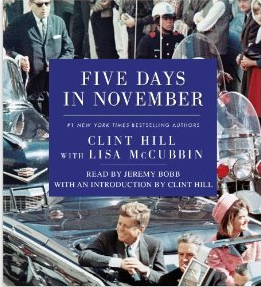 Their most recent book, “Five Days in November,” hit book stores in November. “I’m glad we did (the books), because it provides information to people that is quite persuasive about what happened that day,” Hill said. Posted: 5/15/14 at 8:45 AM under News Story.